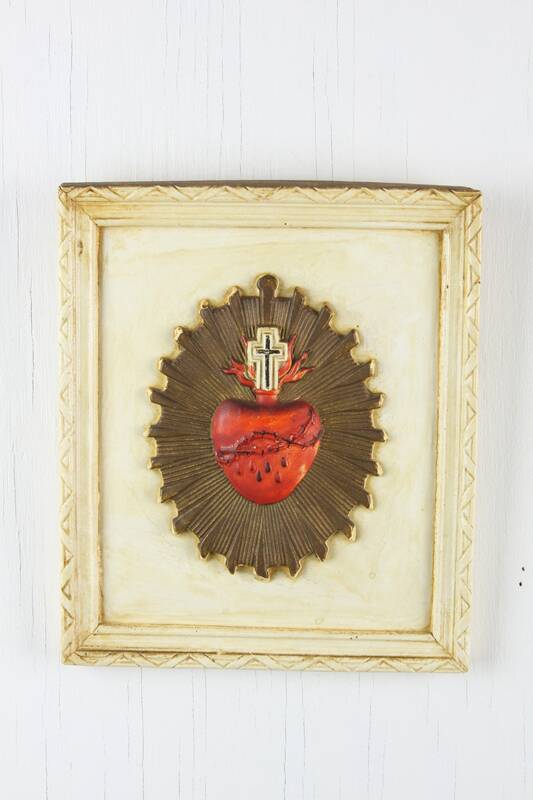 This beautiful religious wall hanging is in mint condition! 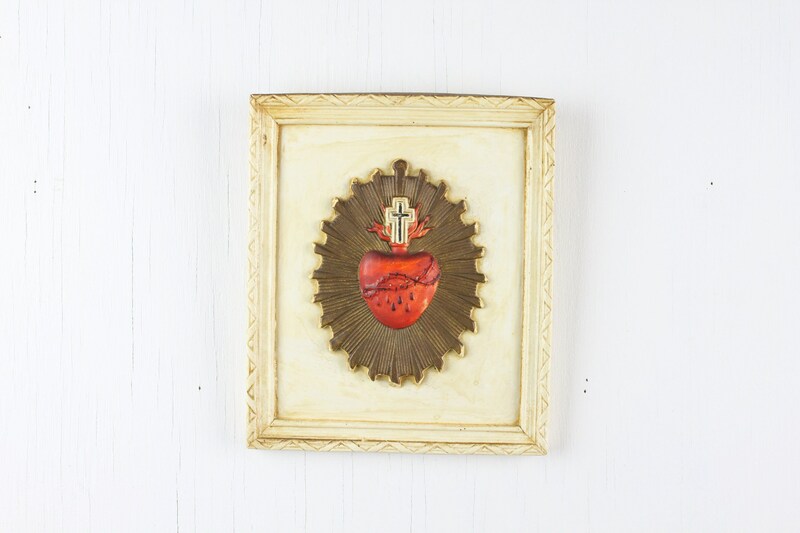 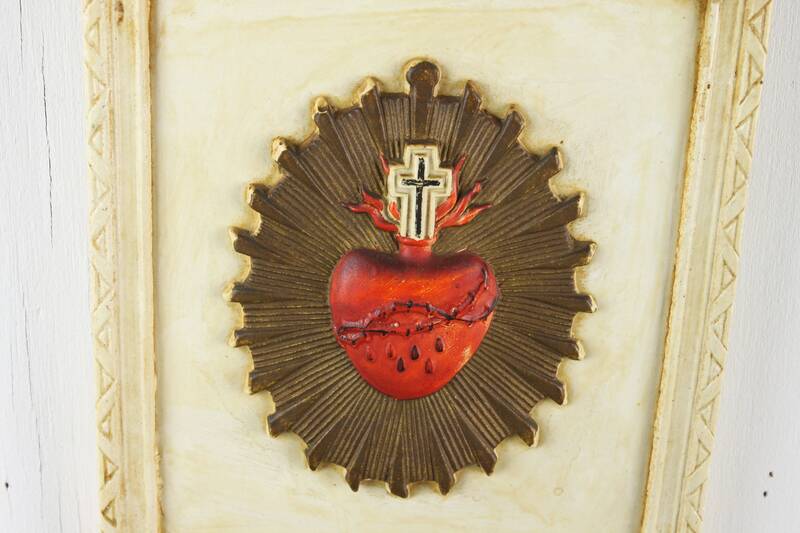 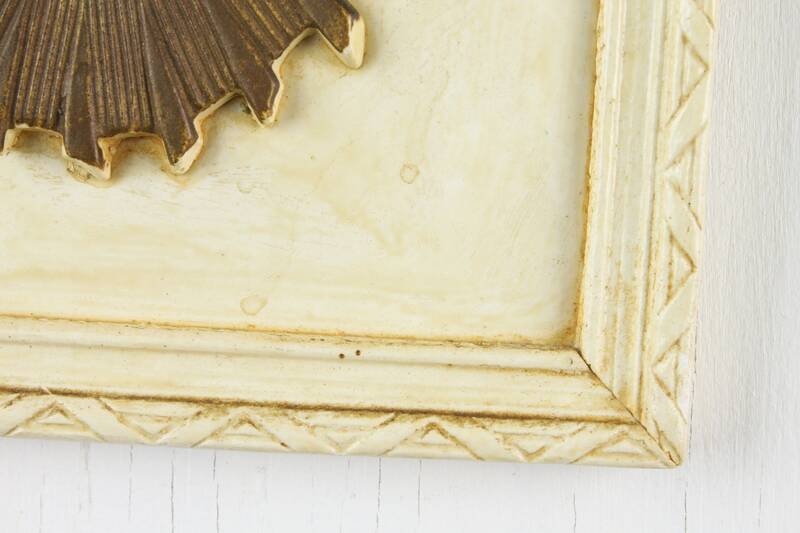 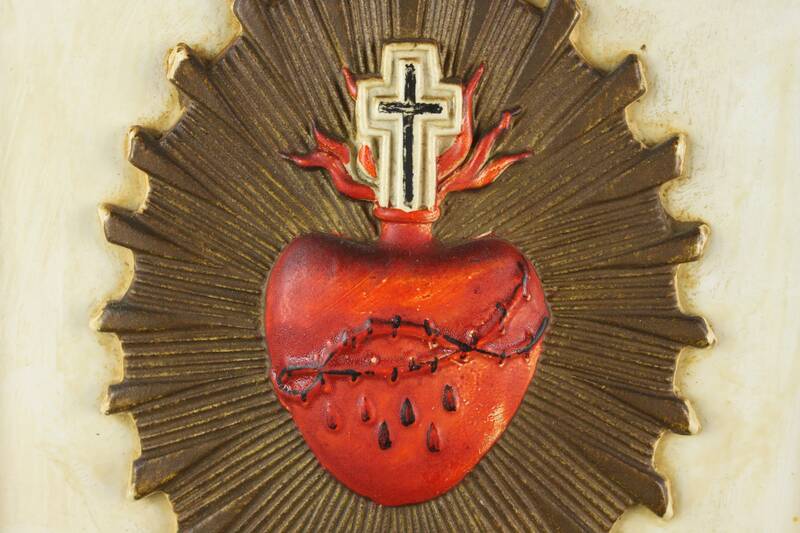 Made from chalkware - this piece features the image of the Sacred Heart of Jesus on a badge of divine light and surrounded by an off white, notched frame. 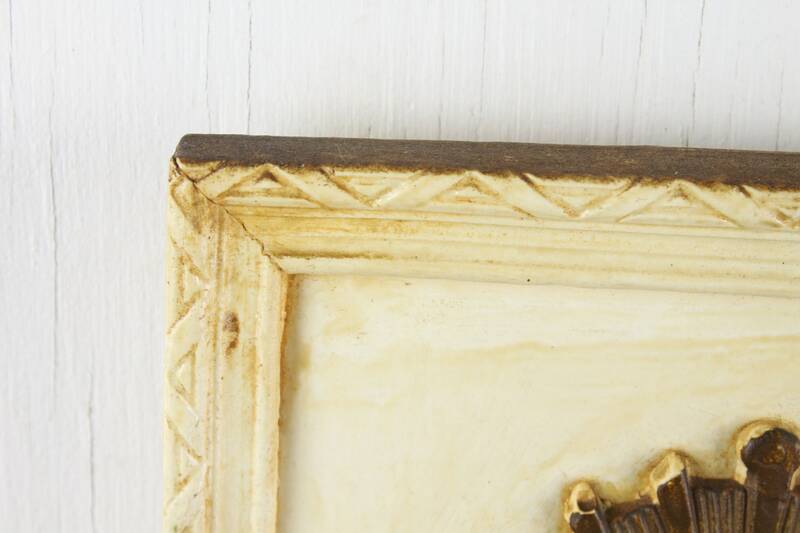 This simple yet stunning piece is a perfect accent for your home and a classic reminder of sacrifice.